Moto Mods are an arguably cool concept that never could truly take off, in part because the Moto Z smartphone family is not exceptionally popular to begin with, and in part because many of these existing modular accessories don’t bring enough value and convenience to the table. But Motorola isn’t giving up yet, simply planning to release fewer “snap-on” mods for handsets like the Z4 and Z4 Play going forward. Meanwhile, the cheapest transforming add-on has just become even cheaper, fetching an incredibly low $2.99 right now at motorola.com/us. 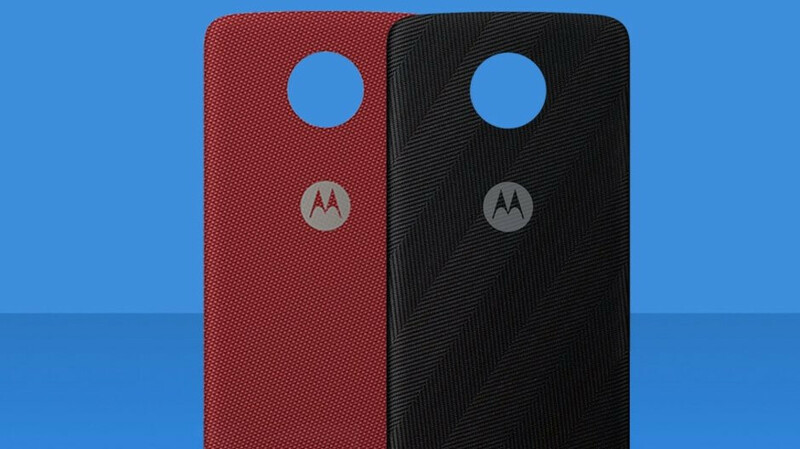 We’re talking about two Moto Style Shell variants, which are typically priced at $19.99 apiece. Although their purpose is not to upgrade your Moto Z-series phone in terms of battery life, audio performance, or cellular connectivity, it’s practically impossible to complain when spending pocket change on a neat way to freshen up your handset’s looks. If you’re not very impressed with the shiny glass back of the Moto Z3 or Z3 Play, you can magnetically attach one of these drastically discounted Style Shells and seamlessly get an entirely new design for your old phone. Entirely new is a bit of a stretch, of course, but you’ll definitely rock a unique-looking phone once you apply the Crimson Ballistic or Herringbone Nylon shell. Lightweight and textured, these are the only styles available at the time of this writing, although Motorola used to sell mods of this type in a variety of colors and materials. Compatible with the full Moto Z family, from the first to the third generation, the two Style Shells are unfortunately ineligible for free shipping on their own. That means you’ll have to pay 5 bucks on top of the $2.99 if you simply want to buy one or two of these. Or you could add a pricier Moto Mod, like the $80 JBL SoundBoost 2, to your cart and score complimentary nationwide delivery. I bought a 1st generation Moto Z Play off eBay. It is breakable glass front & back surrounded by a slippery metal band. Adding a mod on back does nothing. You drop, you break. I just keep a case on it at all times. Forget the mods. I ordered one as I’m all in with Moto Mods, have the game pad, speaker, wallet case and this one now. With my moto z2 force and it’s shatter shield I’m good.